Integrative therapies, such as art and music therapy, are therapeutic for healing in treatment for addiction. These therapies are incorporated into treatment programs as therapeutic tools for healing and as a means to make a client more comfortable when entering treatment. These types of therapy work well for clients who have difficulty talking about emotions, thoughts, or experiences. 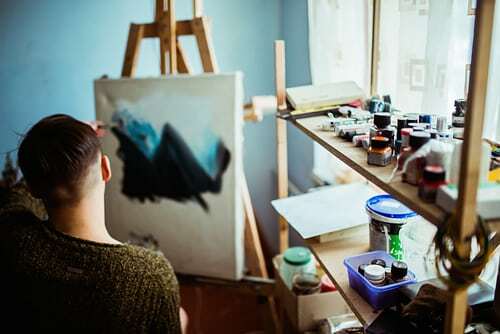 Art therapy helps a person to open up socially, get involved with group meetings and activities, and participate in community work outside of treatment. An individual who goes through traumatic events or suffers from post-traumatic stress disorder (PTSD) and addiction can struggle to talk about their experiences. Music is comforting to the mind, body, and spirit. People turn to music because of its positive psychological, emotional, spiritual, and mental effects. Music soothes the soul and helps in holistic treatment. Writing music promotes critical thinking in a healthy, clear mind. It infuses creativity and psychological healing. An individual can express his or her experiences and feelings through writing music. Playing music is therapeutic for a person with the ability to play or has an interest in musical instruments. For a person who is musically talented, playing music can relieve symptoms of anxiety or depression. Playing music is a healthy way to stay connected to yourself and expresses feelings while adjusting to a sober lifestyle. Creating lyrics for music lets a person write out his or her feelings and incorporate them into the form of a song. This is a great tool for a person who has difficulty talking about his or her trauma. An individual’s lyrics speak for him or her and act as a voice to share traumatic experiences. If you or a loved one is battling addiction, you are not alone. Recovery from addiction does happen. Get help today and embrace the opportunity to enjoy living substance-free.